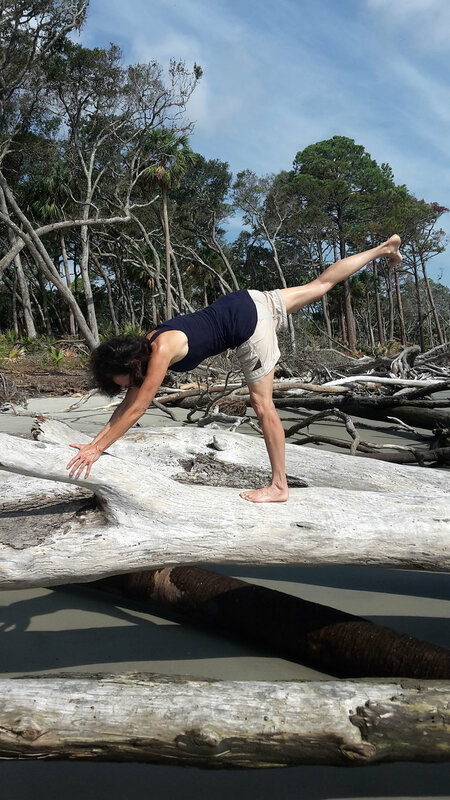 In her yoga therapy practice, Pamela has treated many different types of mental, emotional and physical conditions, including knee, hip and back pain, Scoliosis, Osteoporosis, Anxiety, Depression, Tourette Syndrome, Arthritis and others including the four case studies presented here: Cancer, PTSD, Down Syndrome and Piriformis Syndrome. Read below for more in depth information about their treatment. Male, 36, international music performer, presented with lower back pain, piriformis syndrome and pelvic floor imbalance. Client was exacerbating his condition with overly strenuous workouts, which he modified, but was unable to discontinue constant powerful movements on stage in his concert venues. IAYT, or The International Association of Yoga Therapists, is a great place to learn more about yoga therapy. Pamela Todd is an IAYT certified yoga therapist. ABOVE: Introducing a client to the complete breath. BELOW: Gentle adjustments help open heart space and facilitate breathwork.